Located less than one mile from the downtown area and the San Jose International Airport, the Motel 6 San Jose has recently been redesigned to offer even more comfort and style to busy travelers. This newly refreshed San Jose airport hotel offers more than 70 rooms and a sparkling outdoor pool. Both families and pets are welcome, and children under 17 stay free. The well-designed guest rooms now boast a mid-century modern look, with sleek, stylish furniture and splashes of bright color. 32” flat screen LCD TV, refrigerators, microwaves and in-room movies keep guests comfortable and entertained. Business travelers may want to book one of this San Jose airport hotel’s new Executive King rooms, which include spacious work areas. WiFi is available throughout the inn, as are data ports, free local calls and voice mail. Other business amenities include a large conference room and “park and fly” packages. In need of a conference venue in San Jose? The Motel 6 offers a conference or meeting room for up to 40 people. Equipped with wi-fi and all Audio Visual needs, this room is affordably priced, and on-site event planner will help customize the meeting for individual group needs. 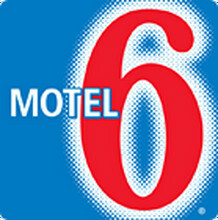 The Motel 6 in San Jose offers great deals to guests through a variety of packages. In addition to the Park & Fly Package, they offer the University Package, which includes special rates and amenities for families visiting students at any of the nearby universities; the Wedding Package, which offers amenable rates for large groups; the Great America Package, which includes two adult tickets to Paramount’s Great America; and the Mystery House Package, which includes two tickets to the Winchester Mystery House, transportation (if available), and a 10% off coupon for the popular Menara Moroccan Restaurant, located nearby. Guests at the Motel 6 San Jose can enjoy its snack centers and complimentary coffee, and just a short stroll away lie plenty of family restaurants, with sushi, Chinese and other international cuisines. Adventurous guests can see everything the Silicon Valley has to offer by hopping on the VTA light rail transportation system, located just steps away from the inn. Business guests will find themselves conveniently close to the San Jose McEnery Convention Center and downtown San Jose, while those who wish to explore the area will find themselves situated close to local sights like Japantown, San Jose State University, Great America, Santana Row and more.